Tourism in Nepal is flourishing as the country seeing a million tourists . Most of the million came here to see mountains and trek around the mountain region. 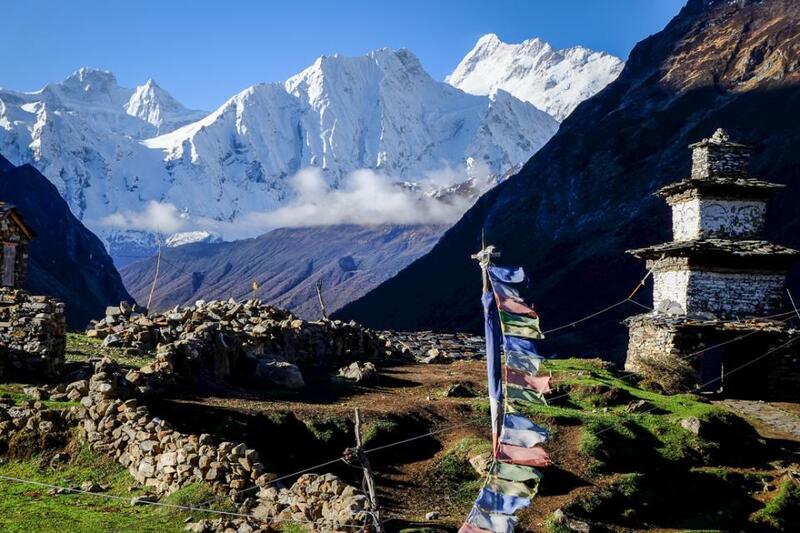 But, over the year, more and more tourists are heading out to explore the less travelled trails of Nepal like the Manaslu Circuit Trek which is one of the most beautiful treks one could go on. Relatively unknown here are a few information that might come in handy when going to the Restricted Area Trekking in Manaslu. For Everest Base Camp and Annapurna Base Camp treks, the ending points of the treks are the base camps, and then from there, you return to your jump off points. For Manaslu, it is different. As a matter of fact, Manaslu Base Camp trek is more well-known by the name Manaslu Circuit Trek. In this trek, Manaslu Base Camp is not the destination, but is instead only a side trip. For the Manaslu Circuit Trek, you are making a loop in your trek so you start in Sotikhola or Arughat, reach the Tsum Valley, stop by Manaslu Base Camp, cross Larke pass and then end up your trek in Besi Sahar in the Annapurna region. In Base Camps treks, these are normally your main destination and then you usually return to where you started. For a Circuit Trek, the starting point and end point are always different. Towering above the pine forests of Nepal’s Budhi Gandaki River Valley, the mighty Manaslu is nicknamed “killer mountain” by locals because more than 60 people have died on its treacherous slopes. The world’s eighth highest peak may not be as famous as its bigger neighbours Everest and Annapurna, but it is really challenging due to its fickle weather. These parts of Nepal do not have many tourists during the peak season because most haven’t heard of the trek so it is advised that you take someone along. Because the trek isn’t as safe as others, it is not permitted to go on one’s own. It is recommended that you take someone along with you and if want to know more, should you take a guide who will give you information about the village and the mountains seen from there. The reason the government has asked trekkers not to go alone is because the region is dangerous and after the 2015 earthquake, it is also prone to landslides and rock fall. A reason why it is better to be in the know to make sure you are safe. The danger zones come along as you pass from Khorlabesi to Tatopani and in route to Yaru and after crossing the Larke Pass. The experienced guides of Adventure Pilgrims Trekking will give you knowledge about more danger zone and keep you safe. The Manaslu trek is definitely one of the most alluring trails you could choose to go trekking in Nepal. Unlike ABC or EBC, you will not a find a huge crowd of people flocked in Manaslu circuit. This is because other mainstream trekking trails are more popular amongst the tourists. And because of that, there aren’t many tea houses or lodges around the place and during the peak season so book with Adventure Pilgrims Trekking for a safe trekking in the Manaslu!